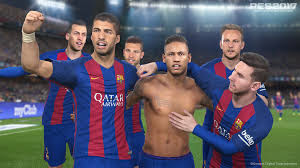 All the game lovers here on this blog, PES 2017 is now out for you to download. Though the official release date is 13 and 15 of September this year 2016. If we could remember, the developers announced this game back then on May 25 2016. PES 17 which is also known as Pro Evolution Soccer 2017 (Winning Eleven) is the new soccer game after PES 16. Some of us that are new to PES games or PSP games will be asking how its possible to play PSP games on Android. Yea, its very possible and simple to setup. I have PSP games on my phone. So i know what I'm talking about. You will be able to play PSP games in clear display with amazing 3D display all with the help of PPSSPP EMULATOR for Android. PES 2017 will be officially released in some Asian countries soon or later for PC, Xbox 360, Xbox One, PlayStation 3 and PlayStation 4 devices. 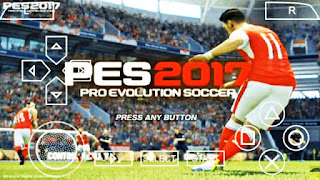 => Download PES 2017 apk. => After downloading the game from the above provided link, the format should be in (.RAR File), just extract it from that .RAR file. => Next, you should see the ISO file obb data after extracting, copy and paste in Storage>Android>OBB. => Then go to the downloaded PPSSPP and from there click on the pes game from the folder you saved it with. That's all, go ahead and enjoy the soccer ⚽ game. => In case you are required of password to unlock the .RAR format in the folder then use this Password PESFUXION2016-17 to have access to the Iso file. For other sports games like; (Fifa 2017, Fmm 17, pes club manager, pes 2014, pes 2015, pes 2016 iso, FTS 17, etc) download them from this site by searching each using our search box. For those who wish to play pro evolution soccer on desktop and laptops, get it from below. you will be able to play this game only with the help of Ppsspp. On the off chance you don't have the emulator app installed on your device yet, kindly search and download it on Playstore. 2. Go to your ppsspp app and locate the folder where you extracted the .ISO file. Tap it and start playing the PES game on your Android. Make sure you extract the file to your SD card, then open your PPSSPP EMULATOR and locate where you saved the file. Then tap on the game's icon and it will start playing. That's all. Whereby you find it difficult to setup, kindly leave your comment below and i will reply accordingly. 2 Responses to "Download Pro Evolution Soccer PES 17 PPSSPP Game Here (WORKING DOWNLOAD LINK)"
Any link to download ppsspp?